Build a strong and competitive workforce! Ontario's workforce is our most valuable asset. As the economic environment evolves, so do the skills needs of employers. Experience shows that employer involvement in training improves business performance. 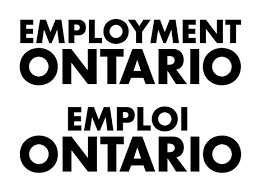 Canada-Ontario Job Grant (the Job Grant) provides an opportunity for employers to invest in their workforce, with help from the government of Ontario and government of Canada. Ontario's workforce is our most valuable asset. As the economic environment evolves, so do the skills needs of employers.